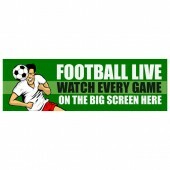 Promotional Sport Banners are a great way to bring in customers and attract more business, as well as ensuring current customers know what you have to offer. 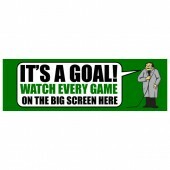 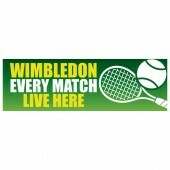 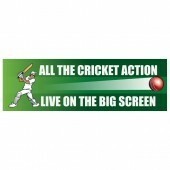 Discount Banners produces a great range of pre-designed Sport Banners for you to choose from. 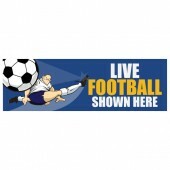 If you would like to personalise or make some adaptions to one of our Sport Banners please call to speak to one of our advisors 0844 800 1020 Our Sport Banners are available in 8’x2’ or 10’x3’ depending upon your needs. 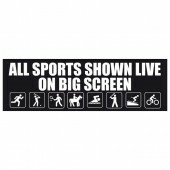 All of our Sport Banners are printed on high quality weather resistant PVC and use eco-friendly, UV stable inks so that you have a stunning, full colour Sport Banner that lasts. 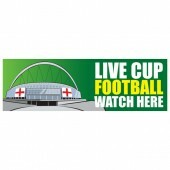 Our promotional Sport Banners will be with you 2-5 days after your order has been placed.